@WhiteHouse defends @RealDonaldTrump’s @Ilhan 9/11 tweet #MAGAFirstNews with @PeterBoykin REP. OMAR BLAMES TRUMP TWEET FOR DEATH THREATS: Rep. Ilhan Omar, D-Minn., says she's received an influx of death threatssince President Trump tweeted a video on Driday that combined comments from the congresswoman — which critics said were dismissive of the Sept. 11 attacks — with footage from Ground Zero ... "I have experienced an increase in direct threats on my life—many directly referencing ... See More or replying to the President's video," Omar tweeted in a statement on Sunday night. Omar said that hate crimes around the world by right-wing extremists and whte nationalists are on the rise around the world and accused Trump of encouraging acts of hate. 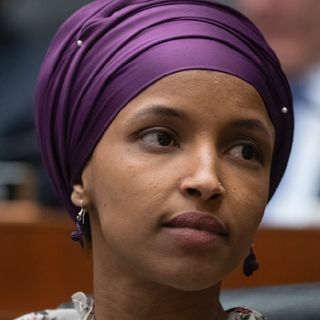 Omar's comments came as House Speaker Nancy Pelosi announced that she had taken steps to ensure the freshman congresswoman's safety and called on the president to take the tweet down. The White House defended Trump, saying the president had a duty to highlight Omar’s history of comments that others have found offensive, blamed Democrats for not holding the congresswoman accountable for her alleged anti-Semitic comments and that he wished no “ill will” upon the first-term lawmaker. It's 'like five people': Pelosi plays down influence of AOC Democrats TRUMP'S $30M CAMPAIGN WAR CHEST: President Trump's re-election campaign raised $30.3 million in the first quarter of this year, far pacing the leading fundraisers among the Democrats, Fox News confirmed Sunday ... The Trump campaign said nearly 99 percent of its donations were of $200 or less, with an average donation of $34.26. In all, the campaign had $40.8 million cash on hand, an unprecedented war chest for an incumbent president this early in the campaign. Among Trump's would-be Democratic challengers, Vermont Sen. Bernie Sanders was leading the money race after taking in $18.2 million in the first quarter of this year. He was followed by California Sen. Kamala Harris, with $12 million. Former Rep. Beto O'Rourke ($9.4 million), South Bend, Ind. Mayor Pete Buttigieg ($7 million) and Massachusetts Sen. Elizabeth Warren ($6 million) rounded out the top five fundraisers among Democrats. Buttigieg formally announces 2020 presidential run I ICYMI: LINDSEY GRAHAM'S PLAN TO COMBAT THE MIGRATION CRISIS: Sen. Lindsey Graham said on Sunday that he is currently working on a drastic overhaul of the United States’ asylum laws in an effort to deal with the ongoing migration crisis at the country’s southern border with Mexico ...While Graham, R-S.C., agreed with President Trump’s call for more U.S. troops on the border and the need for a physical barrier, he argued on "Sunday Morning Futures" that the only way to make real progress in combating the flow of migrants over the southern border is to change laws regarding how and when the U.S. grants asylum. (Click on the video above to watch the interview.) Meanwhile, White House Press Secretary Sarah Sanders confirmed to "Fox News Sunday" that President Trump's prospective plan to send illegal immigrants to sanctuary cities is undergoing a "complete and thorough review." Tiger Woods reacts as he wins the Masters golf tournament Sunday, April 14, 2019, in Augusta, Ga. (AP Photo/David J. Phillip) EYE OF THE TIGER: Tiger Woods is basking in the glory of his fifth -- and perhaps most improbable and emotional -- major title victory after winning the Masters on Sunday ... Woods' comeback has come full-circle. Only two years ago at Augusta National, Woods needed a nerve block just to hobble upstairs to the Champions Dinner, unsure he would ever play another round of golf. He had a fourth back surgery with hopes of simply playing with his two children. Now, at age 43, he is a Masters champion again, his first green jacket since 2005 and his first major since the 2008 U.S. Open. In addition to Woods' fifth Masters championship and 15th major title (trailing only the great Jack Nicklaus in both categories), Sunday marked his 81st victory on the PGA Tour, one away from the career record held by Sam Snead. Perhaps most gratifying for Woods is that his two children, ages 10 and 11, got to see him win a championship live and not just relive his past glory on YouTube.